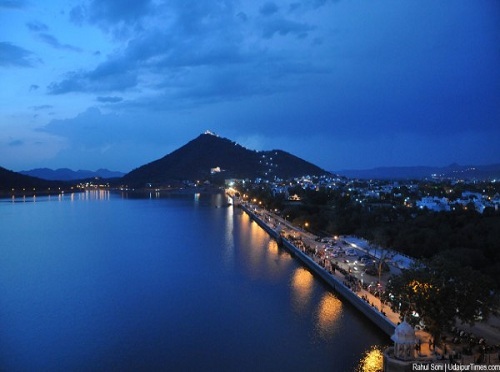 Udaipur- the beautiful lake city is more than just a day tour. There are infinite places to visit and spend time unwinding from the daily life’s complexities. There are a few places around Udaipur that provide the prettiness and beauty that is worth a visit. Make your vacation a special one with this exciting trip from Udaipur to Haldighati along with your friends and family. Haldi Ghati is merely 40 Kilometers away from Udaipur and is situated among the pass between the old Aravalli Mountain ranges. It is named after the turmeric yellow colored sand found there. Turmeric is popularly known as Haldi in Hindi hence the name: Haldi Ghati. Haldi Ghati is a very important location from the viewpoint of history. The famous battle of Haldi Ghati between Maharana Pratap and Mughals was fought right here in 1576. The Mughal Emperor Akbar’s side was represented by his general Man Singh I of Amer. This battle goes down in history as the fiercest battle of Rajputana history and highlights the bravery, chivalry and heroism of the Great Maharana Pratap who is one of the greatest heroes of the royal Rajputs. Om Travel Online is the best Car Rental Service in Udaipur that takes you sightseeing in and around Udaipur. Om Travel Online’s Best Taxi Services in Udaipur is one of the most reputed and sought after taxi in Udaipur. You get maximum comfort at very competent prices without any sort of hidden charges. While there are many Udaipur Taxi Service but Om Travel Online’s services are irreplaceable. Om Travel Online takes on a tour to Haldi Ghati. Here you first visit the main arena where the light and sound show transports you into the era of Maharana Pratap. A mini documentary about Maharana Pratap’s life and his struggles is displayed fantastically through perfect amalgamation of lights, sounds and set modals. Adjacent to the museum is a handicraft market where you can buy organic sarees, rose sherbets, perfumes and much more. The highlight is organic sarees made from threads of Custard Apple (sitafal) plant, rice, barn and maize. The beautifully embroidered and hand painted sarees are an excellent gift as souvenirs as well as remembrance of royal Rajasthan. Do buy a set of royal pagdis and Rajputi safas that not only look exotic but also add to the ethnic charm of the Rajasthan. Rose sherbet is also a unique takeaway from here. Built from organic roses grown locally, rose sherbets are excellent for stomach ailments like indigestion, acidity and gastric troubles. Next up is the Chetak Samadhi. Chetak Samadhi is a small monument built by Maharana Pratap in honor of his beloved horse Chetak. During the battle of Haldi Ghati Chetak got fatally wounded yet it did not give up and escorted Maharana Pratap to safety by galloping over a very wide monsoon stream. After the giant gallop Chetak took its last breath. In honor of Chetak’s courage and loyalty Maharana Pratap constructed this monument. At Haldi Ghati there still exists a cenotaph. Well, the charm and uniqueness of Haldi Ghati is difficult to describe in mere words. You need to visit in real. Call Om Travel Online now for Udaipur to Haldighati Taxi Services. Thank you for sharing excellent informations. Your web site is so cool. I’m impressed by the details that youвЂ™ve on this site. It reveals how nicely you perceive this subject. Bookmarked this web page, will come back for more articles. You, my friend, ROCK! I found just the info I already searched all over the place and just could not come across. What an ideal web site.